Multi-GRAMMY® Award-winning producer and mixer Chris Lord-Alge. Los Angeles, CA, April 18, 2014 – In recent months, multi-GRAMMY® Award-winning producer and mixer Chris Lord-Alge has adopted Focusrite’s RedNet Ethernet-networked converters as the interface of choice between his Avid Pro Tools system and his classic SSL 4000 E/G+ mixing console. For more than 20 years, Lord-Alge has brought digital multitrack sessions into his analog console via the Sony 48-track DASH tape machine format, but with tape supplies dwindling, he made the transition to RedNet 2 digital-to-analog converters and other RedNet hardware in late 2013. While the switchover to an all-digital nonlinear workflow will obviously be beneficial, Lord-Alge says he would not have made the transition unless the Focusrite system offered the sound character with which he has become so familiar. “I want the sound of my old D-to-A, which is a bit more analog, in some ways a bit more lo-fi. It’s got a bit more glue in there,” he explains. Not that Lord-Alge had any reason to doubt Focusrite’s RedNet before he tried it; over the years he has used a Focusrite Red 3 Classic Dual-Channel Compressor/Limiter across his stereo bus on 10,000 mixes, by his estimation, racking up credits along the way with artists such as Green Day, Muse, Daughtry, My Chemical Romance, Rise Against and many, many others. Recently, with the new RedNet set-up, he has added another Bruce Springsteen project to that extensive list. High Hopes is an album of previously unfinished material that was completed in stages over the course of the past several years and released in early 2014. “The last round of tweaks that I did with Bruce, we had the rig up, so when it came time to print we went Red, baby! It shows that our transition is working,” says Lord-Alge. The High Hopes album topped the charts worldwide in January and features three tracks – “American Skin (41 Shots),” “The Ghost of Tom Joad” and the title track – that Lord-Alge mixed using his Focusrite RedNet system. “New things I’m working on are going the same route,” he continues. “The transition is definitely fully under way.” Upcoming mix projects include Adelitas Way, Gloriana, Grizfolk, O.A.R. and his fourth album with Rise Against, he reports. Lord-Alge admits to a sense of relief that he has found a replacement for a key piece of equipment on which he has come to rely and that has served him well for over two decades. “I’ll be able to continue with what I like, transitioning from format to format. It’s not a compromise. That was a big concern to me,” he confides. 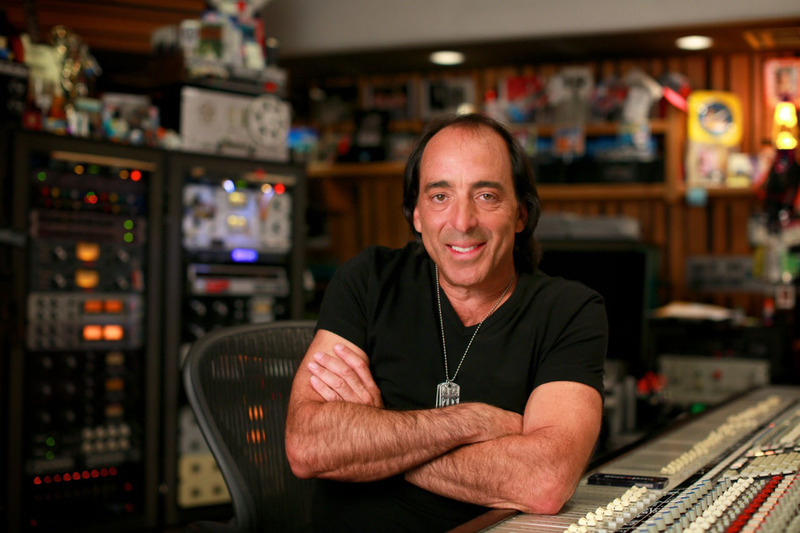 Photo Caption: Multi-GRAMMY® Award-winning producer and mixer Chris Lord-Alge.